Taking the senders on the envelope in which the Census arrived and trying to find out who these agencies are and what they have to do with the Census; things got very foggy, very quickly. The U. S. Department of Commerce is the parent agency for the U. S. Census Bureau. The Economics and Statistics Administration is responsible for examining the 2010 Census and its effect upon the economy and as far as the web is concerned The U. S. Census Bureau just hires people to actually take the census. Nowhere is there a clear budget for the 2010 Census; as to its costs: All we know about this is that an $89.5 million contract for the next nine years was given to IBM (which was not announced by the government); who probably devised the questionnaire and will run the results through their computers. To try to figure out what the costs of this census really are; is to enter a Labyrinth of government agency connections and overlaps that leave you wondering why so many different agencies all have their hands in each others pockets: and why this particular project that is supposed to happen only once every ten years, requires so much of the attention of so many bureaucrats; and why apparently the Census is now an annual event, as opposed to only once every ten years? "WASHINGTON, March 18 /PRNewswire-USNewswire/ -- As 2010 Census forms arrive in more than 120 million mailboxes across the country this week, several 20-foot-high replicas of the form began touring the nation today. The U.S. Census Bureau's Giant 2010 Census Form Tour is part of a large-scale effort to encourage households to take 10 minutes to fill out and mail back their census forms. (Logo: http://www.newscom.com/cgi-bin/prnh/20090226/CENSUSLOGO) The forms will be on display at popular public sites in a number of major cities this week, such as Times Square in New York, Union Station in Washington and Daley Square in Chicago. Other cities include Atlanta, Boston, Charlotte, Dallas-Fort Worth, Detroit, Los Angeles, Phoenix, St. Louis and San Francisco. So the US Department of Commerce is holding a huge bash to promote Census 2010: But at what cost, and with what oversight to insure that what Commerce, the Economics & Statistics Administration & the Census Bureau say will happen to what you are being forced to send in? It seems that there really are no lines between the almost completely privatized US Department of Commerce and the government. There are also no clear accounting procedures for either the costs or for what happens to the data collected; in terms of everything that is being collected which does NOT involve the counting heads. That's critical because that is the only reason for there to be a U. S. Census Bureau: to count US Citizens in this country, once every ten years! So why is the US Census Bureau involved with Foreign Markets; in terms of their official logos? "How much is the COMMERCE Department offering for your personal information? The ever intriguing Jim Kirwan posted an article on March 16, 2010 on rense.com entitled "Owning The 'United States®'". This referred to the trademark symbol that appears with the logo on the envelope in which the 2010 U.S. Census form is contained. This piqued my curiosity about the logo itself, and the fact that it is trademarked. I thought I'd look into it a bit. The Patent and Trademark Office is a Bureau under the umbrella of the United States Department of Commerce. The website states "The products and services the department provides touch the lives of Americans and American companies in many ways, including weather forecasts, the decennial census, and patent and trademark protection for inventors and businesses." According to the United States Patent and Trademark Office, a trademark is one of three types of intellectual property protection. Those three types are: Patents, Trademarks, and Copyrights. Regarding Trademarks; the aforementioned Office states, "Trademarks include any word, name, symbol, or device, or any combination, used, or intended to be used in commerce to identify and distinguish the goods of one manufacturer or seller from goods manufactured or sold by others, and to indicate the source of the goods. Service marks include any word, name, symbol, device, or any combination, used, or intended to be used, in commerce, to identify and distinguish the services of one provider from services provided by others, and to indicate the source of the services." 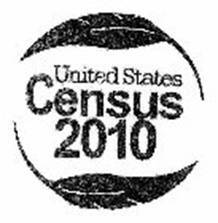 And of course, "we" have to cover our "assets"... "The U.S. 2010 Census logo is the agency's most-used and best-known asset. It is the cornerstone of the 2010 Census program." The following information can be confirmed here. The Goods and Services are described as "IC 045. US 100 101. G & S: Personal and social services, namely, providing information related to the conduct of the U.S. Decennial Census, including the provision of such services by means of the Internet. FIRST USE: 20070521. FIRST USE IN COMMERCE: 20070521. Hmmmm...looks the same to me. Goods and Services IC 041. US 100 101 107. G & S: Educational services, namely, providing information and promoting public awareness on the importance of and need to participate in the Decennial Census, including the provision of those services by means of the Internet. Owner (APPLICANT) U.S. Bureau of the Census agency of the United States government UNITED STATES 1401 Constitution Avenue, NW Washington D.C. 20230. The Attorney of Record is Hector Benitez-Solivan, again. Here's the next one. This one is Serial number 77323183 with a filing date of November 7, 2007. It looks the same as the previous two, yet they are registering it, yet again. Goods and Services IC 016. US 002 005 022 023 029 037 038 050. G & S: printed publications, namely, handbooks, questionnaires and surveys relating to the Decennial Census. Owner (REGISTRANT) U.S. Bureau of the Census AGENCY OF THE UNITED STATES GOVERNMENT UNITED STATES 1401 Constitution Avenue, NW Washington D.C. 20230. Oh, I see, Trademark AND Service mark. Word Mark FOREIGN TRADE STATISTICS YOUR KEY TO TRADE U.S. CENSUS BUREAU. Huh? Goods and Services IC 016. US 002 005 022 023 029 037 038 050. G & S: Publications, namely, reports, surveys, abstracts, statistical abstracts, newsletters, press releases, pamphlets, brochures, posters, magazines, calendars, journals and booklets containing and/or pertaining to business, economics, finance, exports, imports and international trade. Foreign Trade Statistics? OK. What else? Here's registration number 2316247. Filing Date December 8, 1998. Goods and Services IC 035. US 100 101 102. G & S: Business services, namely, providing information and statistics relevant to business, economics, exports, imports and international trade; and business services, namely, providing information and statistics via a global computer network, relevant to business, economics, exports, imports and international trade. Goods and Services IC 042. US 100 101. G & S: miscellaneous services, namely, promoting public awareness of the importance of and need for participation in the U.S. Decennial Census, including the provision of such services by means of a global computer network, and the conduct of the U.S. Decennial Census. I can't not look at the lawyers now, can I? Let's see...Attorney of Record Hector Benitez-Solivan. Not much found about him other than he's a lawyer in Washington, D.C. , who was named in a May 2009 New York Supreme Court lawsuit regarding attorneys in violation of Judiciary Law, in which he was ordered to suspend the practice of law in any form until he registered and paid registration fees. Then came Philip J. Green, whose "day job" is working for Office of the Chief Counsel for Technology at the Department of Commerce. Not much else out there about him, except he has a polished palate. Well, this has all been interesting but I find myself wondering, this is all about commerce, right? "First use in Commerce" it says. So the Census is commerce. Commerce is the exchange of items of value between companies or persons. A deal of commerce would then be any exchange of money for a product, service, or information. So, you and I exchanging Census information with the government is considered commerce. That begs the question, if this is considered an exchange, where's the money? I keep being told my information is most valuable. I don't seem to be getting any money for exchanging my information with the Census Bureau, what kind of commerce are we talking about here? Not mine, apparently." What Laurie Kramer says above seems like something that needs to be investigated thoroughly, sooner rather than later? Many would prefer that the US Census Bureau either be confined to doing the census or dissolved entirely. The public also ought to be told why we need to issue private contracts to do government work, especially when we already have a US Census Bureau, supposedly to do just that? If we no longer have a functioning government let's just send them all home and turn it all over to private corporations ­ we sure as hell don't need these private-partnership parasites just hanging around to get their over-priced private contracts to do what the US agencies were supposed to do ion the first place. Privatization is totally out of control and it is everywhere now! We have mercenary armies in the field that outnumber US troops and yet we pay them at least ten times as much as we pay the GI's ­ so how did all this get to be this way: And when is it going to be stopped! Maybe if the public cared they might demand to be paid, as Laurie suggests above ­ for their information; which the newly privatized US Census Bureau is demanding from us all?